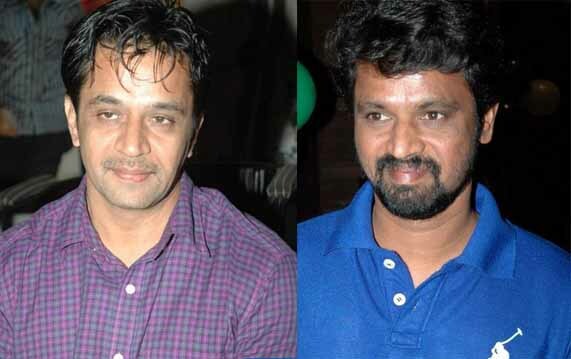 Vasanth's Moondru Per Moondru Kadhal (MPMK) is creating high expectations in the industry. Arjun, Cheran and Vimal have starring roles. Newbies Shruti and Surveen and Thamirabarani Bhanu are the heroines. Yuvan Shankar Raja is doing the score. Thambi Ramaiah and Appukutty will be providing comic relief. Vasanth has won the National Award for best short film. Cheran is a three time National award winner for his films Vetri Kodi Kattu, Autograph and Thavamai Thavamirundhu. Appukutty and Thambi Ramaiah won the National award in the best supporting actor category for Azhagarsamiyin Kudhirai and Myna respectively. 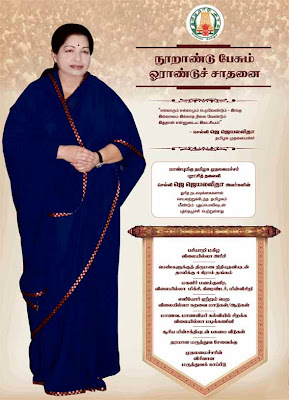 All major newspapers, national editions no less, were delivered today wrapped in full-page jacket ads celebrating J Jayalalithaa's one year as the Chief Minister of Tamil Nadu. Sources say the Tamil Nadu government had a budget of about Rs. 25 crore and spent at least Rs. 15 crore on the ads. The ads are headlined: 'One year of achievements - Hundred years leap forward.' Printed on four pages, they are dominated by an image of Ms Jayalalithaa from masthead to the bottom of the front page. Alongside and on the three other pages are lists of her achievements as chief minister this time around. AIADMK sources say the fact that the CM made good on all these promises despite inheriting debt of over a lakh crore rupees, is an achievement worth the grand publicity. They also say that Ms Jayalalithaa has reached these milestones despite what they call the "step-motherly treatment of the Centre to non-Congress ruled States." Lately, Ms Jayalalithaa has been the pivot of an alignment of those non-Congress ruled states on issues like the controversial National Counter-Terrorism Centre that they oppose. With regional parties like the Biju Janata Dal of Odisha and even the BJP making overtures to the AIADMK ahead of 2014, the ad blitzkrieg is being seen as strategic promotion of Brand Jayalalithaa at the national level. Not surprisingly, the power-jacket ads, inserted by the Tamil Nadu government through its Department of Information & Public Relations (DIPR), graced all Tamil Nadu newspapers this morning, except the ones owned by DMK leaders. The Left disapproves of the expensive carpet-bombing. "It has become a culture of people in power to waste public money. It's unacceptable and is being done just for publicity by using people's money," said CPI leader Gurudas Dasgupta.